The Edgars Stores Corporate Social Responsibility calendar has a range of projects that we organise as well as participate in throughout the year, including annual events that we are proud to support. It's almost time once again for the "Green Concert", a show put together by the Ministry of Environment, Water and Climate, and organised by Dereck Mpofu, Mr Green Ambassador. This initiative seeks to use the platform of musical entertainment to raise awareness on the importance of environmental care as well as raise finance in order to assist those in need whose lives have been negatively affected by environmental issues. 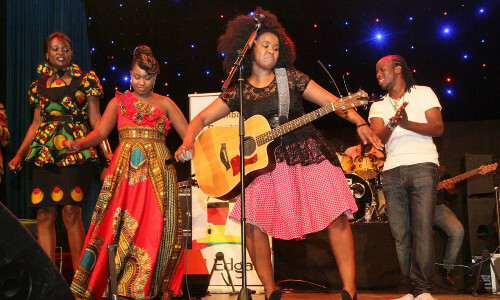 In last year's Green Concert, popular South African musician Zahara came to Zimbabwe and performed alongside local artists to raise funds for the Tokwe Mukosi flood victims. Edgars went a step further and invited customers to participate in a collection drive to assist the members of the Tokwe Mukosi community by dropping off non-perishable items in donation bins at 6 branches nationwide. Edgars did not forget the Tsholotsho flood victims, and included them in this initiative. Edgars handed over the donations to the affected families in Tokwe Mukosi and Tsholotsho in July 2014. Environmental issues continue to be a concern for Edgars, and out CSR strategy focuses on these as well as educational issues. Edgars regularly holds events such as street cleanups in an effort to be stewards of the environment. We look forward to the 2015 Green Concert as an event that will once more remind us of the importance and necessity of looking after Our ZImbabwe.